Kilkenny Pembroke Hotel features an enviable location on Kilkenny's most exclusive street, at the centre of a city that is rich with medieval heritage and alive with a vibrant arts culture. The hotel features 74 spacious and comfortably appointed guest rooms. 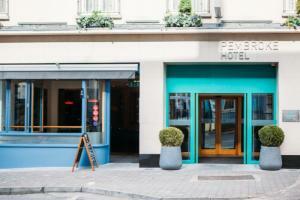 Located on Patrick Street, in the heart of Kilkenny, just off High Street and within minutes of Kilkenny Castle.